With over 25 years of experience in the meat processing industry, Brad Lockwood has done everything from owning and operating his own federally inspected meat processing plant, to holding the office of President of the Pennsylvania Association of Meat Processors. Brad’s extensive industry experience and expertise have led him to receive multiple State and National awards for smoked and processed meat products. Brad is also the host and producer of Outdoor Edge’s Love of the Hunt TV. Love of the hunt combines the excitement of North American and worldwide hunting adventures with expert tips and techniques for processing your own wild game animals, making Love of the Hunt one of the most unique hunting shows on TV today. 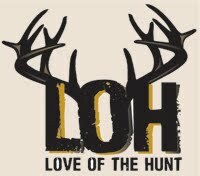 For more information on Love of the Hunt, please visit the Love of the Hunt page on OutdoorEdge.com.